The upcoming Ansible 2.5 open source project release has some really exciting improvements, and the following blog highlights just a few of the notable additions. In typical Ansible fashion, development of networking enhancements is done in the open with the help of the community. You can follow along by watching the networking GitHub project board, as well as the roadmap for Ansible 2.5 via the networking wiki page. Let's dive into each of these topics and elaborate on what they mean for your Ansible Playbooks! Prior to Ansible 2.5, using networking modules required the connection type to be set to local. A playbook executed the python module locally, and then connected to a networking platform to perform tasks. This was sufficient, but different than how most non-networking Ansible modules functioned. In general, most Ansible modules are executed on the remote host, compared to being executed locally on the Ansible control node. Although many networking platforms can execute Python code, the vast majority require the CLI or an API as the only means for interacting with the device. In an effort to help streamline the passing of credentials, network modules support an additional parameter called a provider, first introduced in Ansible 2.3. 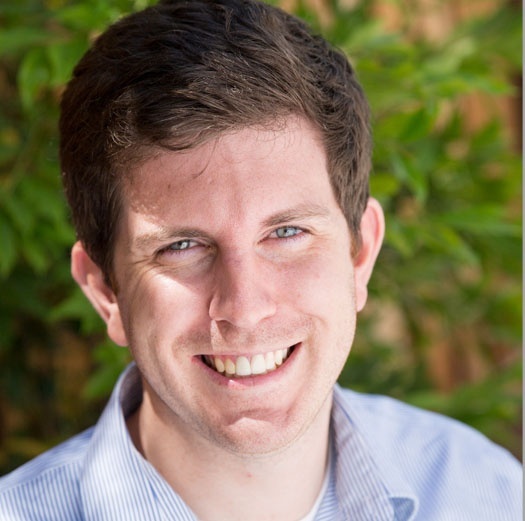 A network automation playbook would run locally, use an Ansible inventory (just like a normal playbook) but then use the provider on a task-by-task basis to authenticate and connect to each networking platform. This differs from a Linux focused playbook that would initially login to devices using credentials in the inventory itself or passed through the command line. Note that connecting to networking devices has been simplified with the network_cli connection method, and that it now mimics how connections are made to non-networking devices. There are additional advantages for executing playbooks at the command line as well. All of the command line options for non-networking platforms can now be used on networking platform playbooks as well. For example, the user, password, connection method and enable parameters can be passed on the command line instead of just the playbook. Note that connection via APIs such as Arista eAPI or Cisco NX API still require the provider method for authentication. NETCONF also becomes a top-level connection, resulting in connection: netconf to be called at the top level rather than having to be specified as a provider argument. Although not all networking platforms support the NETCONF connection method (more to come), we believe this represents the future for network automation. Connecting to, parsing and passing structured data instead of terminal CLI commands is more reliable, and Ansible is excited to be able to add this feature request. Again, just like the network_cli connection method, playbooks can now use the new netconf connection method if the networking platform supports it. Just like with network_cli, running playbooks at the command line with the NETCONF connection method is also supported. With all Ansible connection methods, it is also possible to set up network_cli or netconf as a host parameter in the inventory itself. Therefore, it is now possible to specify the connection method for each managed network device inside the inventory file, which adds flexibility and compatibility for multiple networking platforms. 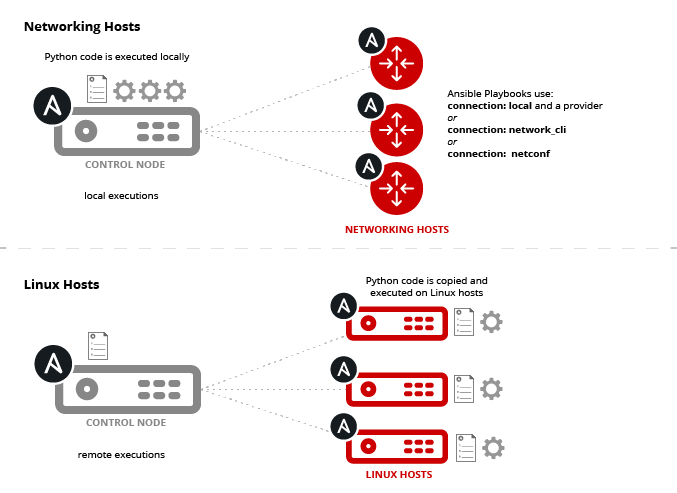 There are many more platforms available for use via community modules, but for simplicity and convenience we have detailed networking platforms that are supported as part of the Red Hat Ansible Engine Networking Add-on. In the playbooks shown above, network automation veterans have noticed another change. Network automation playbooks no longer require gather_facts: no when using the new network_cli or netconf connection methods. Previously when using connection: local, if gathering facts was not disabled it would gather facts about the local system. For example, if I ran a playbook from my MacBook Pro on two network devices, I just captured facts about my Macbook Pro twice. With the new connection methods, fact gathering no longer needs to be disabled. Fact gathering for network_cli and netconf connection methods are not turned on by default. The playbook author must use the appropriate *os_facts module to gather facts. Previously, troubleshooting persistent SSH connections required additional steps to debug exactly what the returned “unable to open shell” message meant. With Ansible 2.5 there are now more additional meaningful logging messages that output directly back to the terminal window to quickly troubleshoot and debug any issues. In this example, the ~/.ssh/known_hosts file was erroneously deleted. The control node (the node where the playbook was run from, that has Ansible) is not able to authenticate the network device (since they have never authenticated with each other before). These are just a few highlighted examples used for demonstration purposes. Refer to the networking debug and troubleshooting guide for up-to-date information. In Ansible 2.4 the concept of including declarative intent parameters for networking modules was first released. Networking modules enabled for declarative intent can configure the device, but now can also check the operational state. These DI parameters help verify if Ansible Playbooks actually have the networking device setup the way the network operator intended. With Ansible 2.5, additional Red Hat supported networking modules include additional enablement for declarative intent. Note some network operating systems may not have support for particular DI parameters. For example, if the platform itself does not support VRFs, Ansible cannot configure or check the operational state of VRFs. What happens when a DI parameter is not met? In the above example if the interface is not connected (administratively up and protocol up) the task will fail. In the above example if there is 0 bps on the interface tx_rate the task will fail. The Ansible play will output an error with the condition that was not met. If it is desired to save the results of DI tasks and not fail, this can be accomplished with combination of register and ignore_errors. This is demonstrated with the net_check playbook at the Network Automation Community GitHub repository. In addition to logging and troubleshooting improvements previously mentioned, increased logging for persistent SSH connection itself has been improved. With verbosity set, log messages are shown where the Ansible Playbook checks for an existing socket. If the socket does not exist it will create one and keep it open for the duration of the playbook. Subsequent tasks will re-use this socket. This behavior can also be seen in the verbose output. <192.168.2.10> found existing local domain socket, using it! In the output the socket 423b3317dd is used for both tasks. Additional SSH behavior improvements have also been included. With Ansible 2.3 and 2.4, the persistent SSH connection remained open for 30 seconds after the playbook completed. In Ansible 2.5, this socket is shut down immediately at the end of a playbook run. This removes the possibility that the socket could be exploited or misused by another program or process. If you are Network Module Developer and want more information about getting network modules to work with the persistent connections, refer to the Ansible Network Developers Guide. 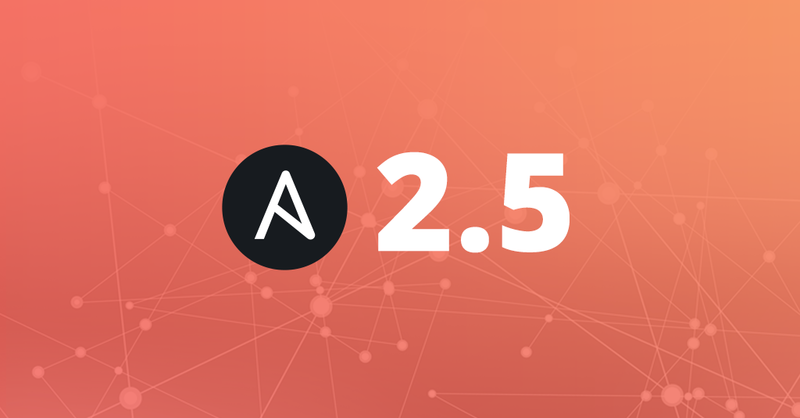 Finally, Ansible 2.5 adds more modules for new and existing networking infrastructure platforms with help from corporate and community partnerships. This means additional built-in enablement for more devices and more features and functionality exposed for use in Ansible across your entire IT infrastructure. The Ansible Networking team is excited for the forthcoming Ansible 2.5 release, and would like to extend a warm thank you to all networking partners and community members that helped make it possible. We love to hear your feedback, thoughts and ideas, and we welcome you to participate in the Ansible networking community.